No one ever wants to leave Science East once they come for a visit, and with the sleepover program you won’t have to leave – you can sleep here! Stay up late, play games, make new friends and learn some unforgettable things along the way. Our program caters to scouting/guiding, school and community youth groups, etc. 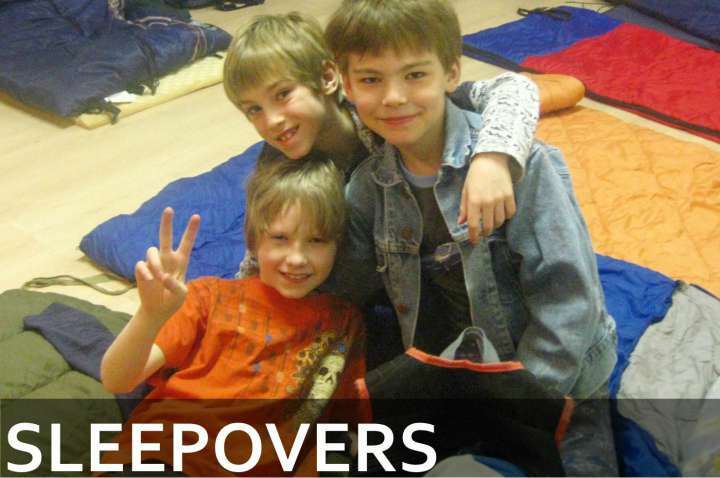 The purpose of these sleepovers is to immerse children in science education while providing them with a unique sleepover experience. In the past, we have offered programs which assisted in meeting badge requirements; now we want to step it up a notch and invite you for a sleepover! This truly is the sleepover of a lifetime! Adult leaders and campers alike will not be snoozing at the thought of seeing the stars and planets up close. And surely, mixing up some ooey gooey slimy creations would wake up the sleepiest person! As an added bonus and a chance most people will never get, we also offer flashlight tours of our science centre. For the bravest campers only, there is another surprise in store: the flashlight tours continue into the old York County Jail Museum. Spooky! Of course, after having all the fun a person can handle, everyone will get a little hungry. Plus, no sleepover is complete without a snack! We provide a yummy snack for all our campers and adult leaders. The fun does not stop when bedtime comes; you will all cozy up in your sleeping bags and dream about all the awesome things that happened at your sleepover at Science East. Then wake up to enjoy a healthy breakfast (cereal, fruit and juice) before departing. Please read our booking and cancellation policy. $30.00 +tax per camper and $15.00 +tax per chaperone, Monday-Thursday nights (not available to scouting/guiding groups) $20.00 +tax per camper and $15.00 +tax per chaperone, Friday & Saturday nights Payment is due 2 weeks prior to your group’s sleepover. Science East reserves the right to cancel any sleepover if payment in full is not received 2 weeks prior to the sleepover. How do I book & confirm a sleepover? First, complete our Request Form , then fax (506) 462-7687; or scan & email it back to Science East (science@scienceeast.nb.ca). We will work with you to arrange a date that works for your group. Once a date has been selected, availability confirmed, and the minimum number requirement met, the booking is confirmed via email. What is the minimum number requirement? What if our group is too small? The minimum number of campers for each sleepover is 30 campers. The number of adult leaders required is based on the size and composition of the group. (This detail will be addressed as the booking is being finalized.) We realize that many groups have fewer than 30 children, so we can help your group by merging groups together to meet the minimum number requirement. If you know of another group that you would like to partner with for a sleepover, ask them to get in touch with Science East or fill out a sleepover Request Form. 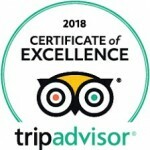 If your numbers change, please notify us as soon as possible so we can try to fill the spaces with another group, otherwise our minimum numbers will not be met and the sleepover will with either have to be rescheduled or minimum payment equalling to 30 campers and 6 adults ($690) can be paid. When can our group sleep over? Our sleepovers generally happen on a Friday night, however we are usually able to accommodate special requests as well. If you are participating in the flashlight tour, don’t forget your flashlight! Any foods containing nuts of any kind. Valuable items such as jewelry, music players and game systems, etc. Science East is not responsible for lost or stolen items. What is the sleepover timetable? Campers and adult supervisors are asked to arrive between 6:15-6:30 PM. The activities will not begin until 6:30 PM, to allow for late arrivals. The evening will be filled with activity until a designated time, when everyone will begin to prepare their sleeping areas. We will have an early morning rise at 7:00 AM, followed by a nutritious breakfast. Pickup of campers is between 7:30 AM and 8:00 AM.Departure time for groups travelling together is at or before 8:30 AM. Note Parents/guardians will be charged $1/minute for late pickups; payment due on pickup or it will be invoiced to the adult who booked the sleepover. What if I need to contact my child? We ask that you call only in case of emergency, as our staff needs to be focused on the campers and the activities. However, in an emergency you may contact us at (506) 457-2340, ext 0. If you are running late or arriving for drop-off at a later time than scheduled, please call ahead, as the doors will be locked at 6:30 PM. Campers and supervisors are permitted to carry cell phones with them. What are the responsibilities of adult supervisors? When sleeping over with a group, it is the adult group leaders’ responsibility to know where all their campers are at all times. Leaders are expected to tend to the specific needs of each camper. Science East staff members facilitate all activities and transitions; the adult group leaders deal with disciplinary issues and personal concerns of campers. If a group leader needs to leave or re-enter the building after 6:30 PM for whatever reason (i.e. coffee run, personal break, going home, etc.) they are responsible for notifying Science East staff. It is expected that leaders will remain with campers during sleeping hours. No-one is permitted to wander the building during sleeping hours. Please be aware that Science East has a no-refund policy for the sleepover program. Payment in full is due 2 weeks prior to the sleepover. If for some reason a camper is unable to attend after payment has been made, you may fill their spot with someone else or we may be able to assist you in filling their spot. We require that each group has a first-aid qualified adult supervisor to care for children within their group. Group leaders should also be aware of any campers allergies. Science East would appreciate knowing the details of any special needs children’s conditions, so as to be prepared to the fullest. Disruptive behavior will not be tolerated. As Science East has a very small staff and the building must be ready for visitors on Saturday mornings, campers and adult supervisors are expected to tidy up after themselves. Prior to departure all areas used must be clean. Please inform Science East staff of any allergies or special needs within your group. All sleeping areas are located on the second floor of our building. Alternate arrangements can be made for campers requiring a wheelchair, if indicated on the sleepover request form. We look forward to seeing you at the sleepover of a lifetime!